Selling online overseas with Export Worldwide is loaded with benefits. There’s no substitute for experience, which is why the best way to sell online overseas is to partner with a professional service that’s done it successfully, time and again. 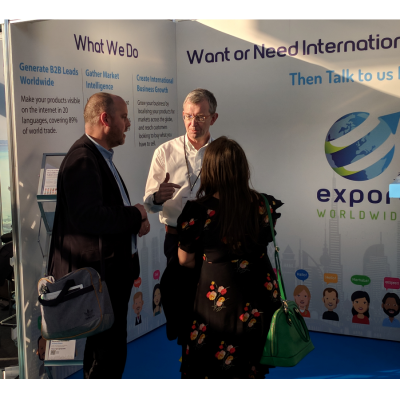 Export Worldwide is backed by more than 20 years of experience and expertise in selling online overseas, making international marketing accessible, cost-effective and profitable for your business. You can leverage our international search engine optimisation and multilingual marketing experience to increase your international sales leads by up 24 percent. Plus, there’s potential for a 9 percent increase in sales leads on your own website as a result of increased awareness of your brand on Export Worldwide. Export Worldwide is a ready-made international marketing platform. Export Worldwide is your ready-made platform for selling online overseas. Upload your existing or new content in English – including product and service descriptions, articles and additional marketing material - then translate and publish in 20 languages to start promoting your products, services and brand in more than 130 countries. You benefit from 20, language-specific, keyword optimised microsites promoting your products, services and brand, which increase the chances of multinational customers finding you in international search engine listings. Plus, your business benefits from Export Worldwide’s own international search engine authority. With more than 7.2K unique monthly visitors to the Export Worldwide website, there’s further potential for international customers to connect with your brand. With Export Worldwide, your content does more to build brand awareness, drive web traffic and increase leads. You can multiply one piece of content by translating it into 20 other languages, amplifying your content marketing, boosting your online presence and giving your products and services greater exposure. Need content? Export Worldwide’s team of translation copywriters can create unique, keyword optimised content that’s translatable. The key advantages of using our ready-made international marketing platform include the cost and time savings you will make. Professional, human translation costs for a single language can run into hundreds of pounds, while the time to research and get setup online to sell internationally, can be consuming and require resources and skills you may not have access to. 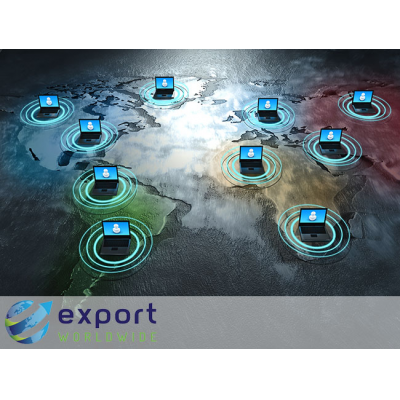 If your business is already selling online overseas, Export Worldwide is an additional, international digital marketing channel, giving multinational customers another way to find your products and services, and connect with your brand. There’s potential to boost your international brand awareness, increase your international content marketing and drive more traffic to your website when partnering with Export Worldwide. With brand promotion in more than 130 countries, benefit from a boost in online visibility for your business. Export Worldwide will help build your brand online in international markets, making it easier for customers to find you in international search engine listings. Our platform gives international audiences a gateway to access your products and services, and connect with your brand in their own language, from anywhere in the world. Plus, you can capitalise on the recognition of the Export Worldwide brand in international markets to build credibility for your own brand, overseas. Export Worldwide has a proven, online international marketing process. With a well-planned international search engine optimisation strategy, we guarantee you will rank for 20 search terms on page one of Google, three months after publishing 15 web pages with us, or you can have your money back. 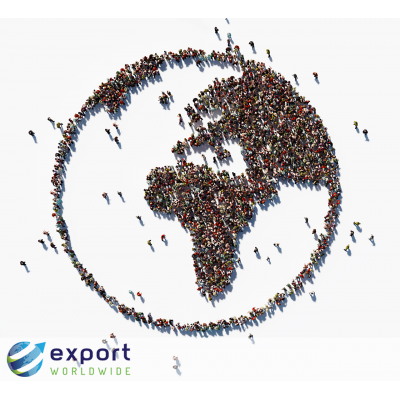 Export Worldwide makes you visible to a wider audience. A combination of promoting your products and services in 20 languages, increased international brand awareness and guaranteed page one rankings in international search engines, will result in a wider international reach. Export Worldwide gives international audiences a way to find your products, services and brand, faster, giving you the edge over your competitors. As a result of wider international audience exposure, Export Worldwide drives global web traffic to your multilingual microsites. Plus, you can expect additional traffic to your own website as a result of customers connecting with your brand on Export Worldwide, initially. On average, Export Worldwide customers report month-on-month traffic growth to their multilingual microsites, plus an additional 20 percent traffic increase to their own website. 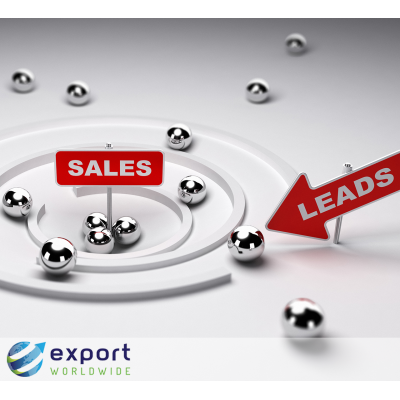 Export Worldwide increases lead volume. A combination of increased brand awareness, a wider international audience and more web traffic, means more leads. Using inbound multilingual content with on-page contact forms means you can tap into a new, steady stream of prospects generated through Export Worldwide. The Export Worldwide platform gives your business a long-term, international marketing strategy. You benefit from continuous growth and better results year after year as you consistently hit and exceed your sales targets. The more multilingual content you publish on Export Worldwide, and as your content matures online, the stronger it will perform. Your business will benefit from greater search engine authority, directing more online traffic to your products, services and brand. Ultimately, you will continue to increase sales and drive business growth. Rather than depend solely on your domestic market, Export Worldwide enables you to build business stability by selling into multiple markets. When one market is fluctuating, other markets will offset the impact. Export Worldwide gives you a solid market development strategy that lowers the risks associated with operating in a single market. Selling across multiple territories enables you to generate new and repeat business from international customers. 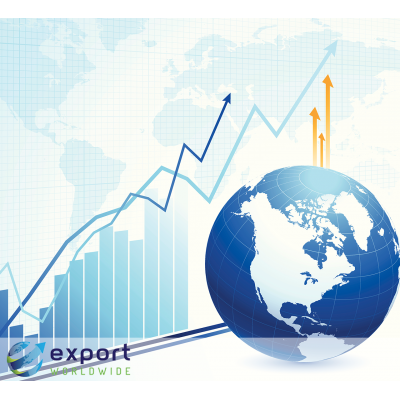 Export Worldwide provides in-depth market analysis. 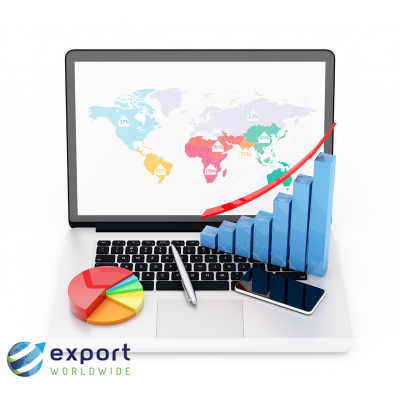 Export Worldwide provides you with intelligent reporting that tracks everything from search ranking and site visitors (by keyword and language) right down to the worldwide visibility of your products and services. As an international market research tool, having a spread of Export Worldwide pages enables you to build a statistical profile of how your brand is performing globally. The information generated by the reports is powerful. You can use it to refine your international marketing strategy because you can quickly identify where there is high demand for your products and services overseas. Ultimately, you can focus your resources towards specific target markets, making sure you’re always in the right place, at the right time! Export Worldwide is a flexible, user-friendly platform for international buyers and your business, alike. Buyers benefit from a customer journey that enables them to find and buy your products and services in their own language. Your business benefits from an easy to manage, low-risk and low-cost way to promote products and services in 20 languages, creating dedicated, multilingual microsites. Each multi-language microsite generates international web traffic, while driving traffic to your own website through brand recognition and inbound, international digital marketing. …Why does this matter? According to the International Data Company (IDC), customers are four times more likely to buy from a website in their own language! Export Worldwide gives visitors a user experience they would expect on any website with a local URL, while you benefit from a low-cost, time and resource-friendly way to generate leads on a global scale. Won’t Export Worldwide Take Traffic from my Website? Export Worldwide drives traffic to your own site. You’d think so, but in fact, the opposite happens. Export Worldwide customers report month-on-month traffic growth of up to 20% on their own website after finding their products and services on Export Worldwide. There is a simple explanation for this. If a prospect is searching in say Turkish and you have no Turkish web pages available, Google will not show English pages and the prospect will not find you and will therefore, never discover your company. If however, you have Turkish pages on Export Worldwide, the prospect will find them and thereafter know your company name. When searching for your company, Google will show the English pages as they are very specific to your company. The sales footprint below illustrates this, the prospect finds Armagard on Export Worldwide and from then on searches by company or product name and visits the company site. 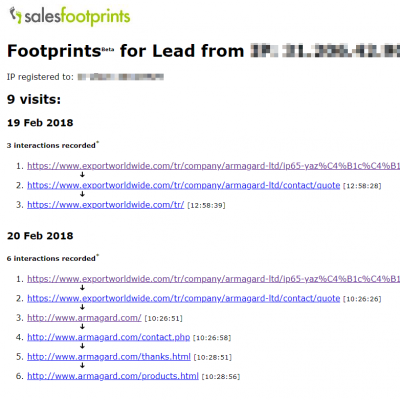 As you can see from this interaction, a customer landed on a Turkish page on Export Worldwide and then navigated directly to the supplier’s site. Thanks to Export Worldwide the brand is now known in Turkish and the prospect can find their site. Not only will Export Worldwide help drive international web traffic, it’s a multinational brand builder. By engaging with your business on Export Worldwide, visitors are more likely to land on your official website to learn more about you or raise a sales enquiry with you directly. Ultimately, Export Worldwide plugs many gaps most global SEO platforms - and traditional international marketing techniques - fail to fill, while reducing the financial risks associated with branching out into global markets. If you want more international visitors to your website then Export Worldwide is for you. If you want more international sales leads and to be equipped to give international visitors a unique user experience, then Export Worldwide is for you. The team behind Export Worldwide guided a UK-based, SME manufacturing firm to export growth success, winning the Queen’s Award for International Trade and a National Chamber Award for ‘Exporter of the Year.’ A decision to market products and services, purely online, led to export sales rising from 6% to 70% in eight years. This success prompted the idea for Export Worldwide. The typical UK SME exporter generates more than £287,000 from exports each year, additional revenue that boosts profitability and business stability – something that every SME should have access to. Export Worldwide gives you access to international markets that will boost your profitability and stability. Daily demos available. Schedule your live demo, here or call +44 (0) 121 608 7255, now.